The South Carolina Court of Appeals has rejected a specialty material company’s attempt to overturn the $14 million mesothelioma verdict against it. The Texas-based company, Celanese Corp., was ordered to pay the plaintiff’s widow and estate $12 million in compensatory damages and $2 million in punitive damages after the court found negligent safety practices at one of the company’s plants. According to a Morningstar.com report, the original suit alleged Celanese was negligent for failing to warn the plaintiff of the dangers of asbestos found in gaskets, packing and insulation materials at the facility and for failing to provide safe working conditions and adequate protections against asbestos dust. Attorneys for the plaintiff said that Celanese “was fully aware of the asbestos hazards encountered by contractors” like his client, “yet they had a widespread company policy of concealment that their executives memorialized in a memo.” The company “stated that any inquiries from employees about hazards should be met with statements by the company that 'emphasize that the data is inconclusive' and that 'exposures were being monitored and controlled below appropriate limits.' It wasn't true, and the jury saw that." The plaintiff in the case was employed by maintenance services provider Daniel Construction Company. However, he worked for DCC at a Celanese polyester plant from 1971 to 1980. 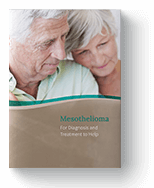 It wasn’t until August 2013 that the plaintiff was diagnosed with mesothelioma. In September 2013, he and his family sued Celanese, but the plaintiff did not survive long enough to see the case through to the end. He died from advanced mesothelioma on December 29, 2014—at the age of 70. A three-judge panel rejected Celanese Corp’s numerous challenges to the $14 million verdict, including claims that the plaintiff was not a statutory employee and that jurors had engaged in premature deliberations and had considered outside influences in reaching the verdict. The company must now pay the victim’s widow and estate for all damages. If you have been exposed to asbestos in the workplace, don’t hesitate. Contact your doctor right away. Your doctor can refer you to a specialist who can assess your risk and set up a monitoring plan that could help detect mesothelioma sooner and in its earliest stages. Although there is no cure for mesothelioma, early detection could lead to better treatment options and outcomes. See your doctor to assess your risk today. “Celanese Must Pay $14M Asbestos Verdict: SC Appeals Court.” Law360.com. LexisNexis, Portfolio Media, Inc., 13 Feb. 2019. Web. 09 Apr. 2019. “Keene v. Cna Holdings, LLC.” CaseText.com. CaseText, Inc., 13 Feb. 2019. Web. 09 Apr. 2019. “S.C. Appeals Court Upholds $14M Asbestos Exposure Verdict Against Celanese Corp.” Morningstar. Morningstar, Inc., 15 Feb. 2019. Web. 09 Apr. 2019. “S.C. Appeals Court Upholds $14M Asbestos Exposure Verdict Against Celanese Corp.” PR Newswire. PR Newswire Association LLC., A Cision Company, 15 Feb. 2019. Web. 09 Apr. 2019.